The excitement of choosing a new TV - be it a 4K TV or an HDTV -- doesn’t end when you get it home. That’s where the excitement starts, because now it has to be positioned where the whole family can enjoy it. That's especially true of a big screen TV, since the sheer size of the display requires that there is room between it and where everyone is going to be to watching. But let's say that you already have a cabinet waning for the TV to go on, or a wall mount ready and waiting to bolt the TV to the wall. That doesn’t mean all the TV now needs is to be turned on; there’s connections to make first and settings to change so that the picture suits your needs. Lets break it down so that we can get to watching that great picture already. 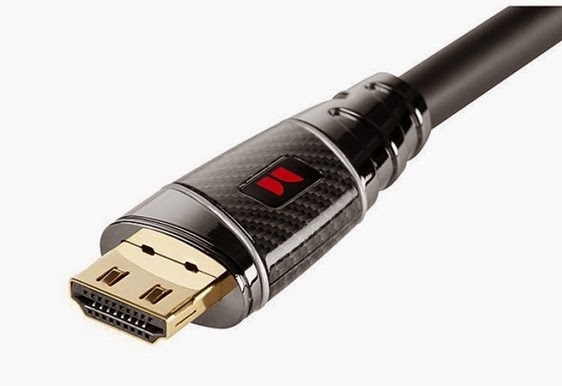 the TV is for which connected component: in most cases using HDMI #1 for the cable box for TV use makes the most sense, with other devices following by the numbers. Since most TVs now include as many as 4 HMDI inputs, that even leaves room for adding a streaming device directly at the TV (like a Chromecast). USB ports on the TV also mean that devices that need to be powered can be hooked up directly as well. 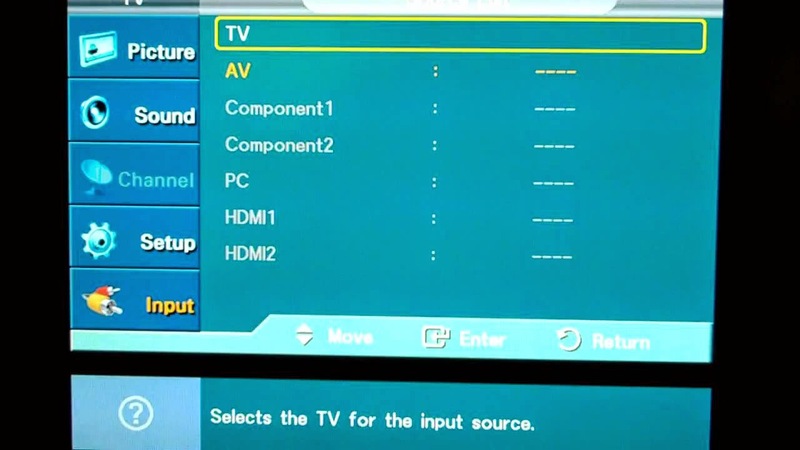 Turning on the TV (having plugged it into an AC outlet first or even a power surge conditioner), if using an external antenna now’s the time to navigate to the TV menu so that you can get the TV channels it can pick up. Otherwise it'd just a matter of selecting the input for the component or device you want to use, a cable box or satellite receiver for example. Now comes the real setup. The TV manufacturers set up their TVs with a "default" mode that look good at the dealer where you'll see it. But it's YOUR TV so it needs to look good to you. 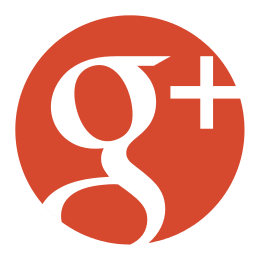 Going through all the menu settings may sound boring, but it’s a one-time effort that will pay off handsomely. The way to go about it is to first decide what you usually look at — TV shows, for example. Pick a show that will be on long enough for you to change settings and view the results, with enough time for making any changes or "tweaks". By having the same show on, you eliminate a variable. 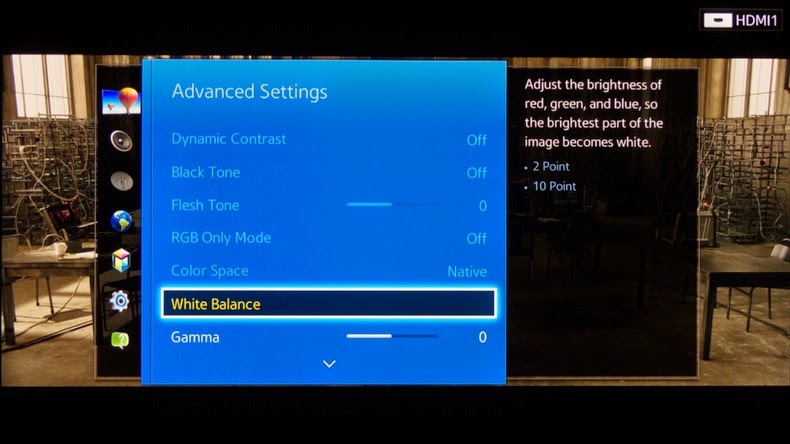 The basic settings to change involve brightness, color, contrast and color temperature. Brightness is as it sounds, while the higher the contrast the more detailed the picture could appear (keep in mind though that higher levels of contrast smudge fine details). Color changes the intensity of the image while color temperature affects “white" and makes the overall picture seem “warmer" or “cooler.” Take your time to see how you "feel" about how the picture looks -- it should be how YOU want it to look, after all. With this done, now it's time to put any special settings that are already on to their Neutral/Off position. This can include backlighting, noise reduction, black level enhancing among others. Then activate them one at a time to see how that affects the picture and how you feel about that change. If you like it, leave it on or make further adjustments. But if the picture looks best with it off, leave it off. This includes the various picture modes, such as “Cinema" and others -- note: those interested in the best picture for watching movies should use the Blu-ray player and a Blu-ray disc as the source material for the setting changes. Of course there is an alternative solution — you can have professionals set up your new TV for you. That means a lot more than just putting it up against a wall -- an installer like JUST ONE TOUCH makes the TV not just functional but also attractive to look at — a part of your home's decor that can be viewed with pride. 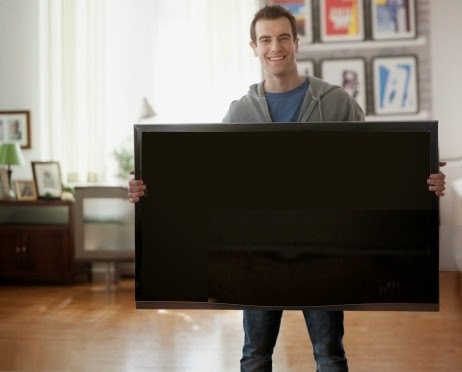 Either way that new TV is going to be a part of your life and home so take the time so it will have the best picture you’ve ever seen.